Welcome to teaching at the College of Professional Studies. All new faculty should receive an introductory letter from the College and from the Provost/Vice President for Academic Affairs with information on other offices and services that might be important as you plan your course and prepare for your first class. Your most important contact in getting started–other than your Program Director–is Jack Prostko, the College's Director of Faculty Development: 202-994-3592 or [email protected]. The hiring process will be initiated by the program in which you teach. Required for getting into the payroll system are an I-9, tax forms, and a statement of personal data. Call Melissa Stanley, Accounting Analyst, at (202) 994-5393 for assistance. She can provide you with information on direct deposit, joining the union, and verifying credentials. Once officially hired, faculty are provided with a GWID account number, which will allow you to begin the process of creating a class. All CPS classes have an online presence through Blackboard, the course management system used at GW. In order to access your Blackboard site, you will need a GW email address. As a new faculty member, you will need to log into GWeb and reset your PIN from the default PIN to one of your own choosing before attempting to create a Net ID. Net ID is a single username (with a corresponding password) that gives you access to GW Colonial Mail (Email), MyGW (GW’s Portal) and Blackboard. You can use your Net ID to request personal web space (Academic), Research Space or Access Computer Labs on campus. Specific instructions for securing your GW Net ID are available at the ISS Virtual Help Desk Account Center. Should you have trouble setting up your ID please call the ISS Help Desk at (202) 994-5530 or go to [email protected] for assistance. This is your university ID card and will provide access to the Gelman Library and the Instructional Technology Laboratory, where you will have access to equipment and assistance with all audio-visual needs. Visit the GWorld website for specific instructions. All CPS courses must have a clear course description in the syllabus and a set of stated learning goals for the students. Assignments and grading procedures should be outlined, and information included about GW’s academic conduct policy. First, speak with your Program Director about the Program’s overall learning goals and how your course fits into the larger context of the program. Then consult the information in the faculty resources section under "Developing a Course." Finally, consult with Jack Prostko (202) 994-3592 or [email protected]. He can work with you to create your course, review the syllabus and assignments, and suggest effective teaching practices suitable to your content. 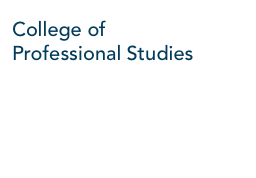 For assistance in locating course readings or setting up research instruction sessions, contact CPS librarian Joscelyn Leventhal at 202-994-5680 or [email protected]. Your course is automatically established in Blackboard, the university’s course management system. You must use this system to publish your course materials, class schedules, readings, references, organization of discussions and other communications with your students. The students registered in your class will be automatically included in your Blackboard Classroom. A good place to start when using Blackboard is ITL: Blackboard Help for Instructors and members of the Instructional Technology Lab (ITL). At various times throughout the year you will be notified about the times and dates of training sessions by technical experts. If you have questions about getting started on Blackboard, contact Jack Prostko, (202) 994-3592 or [email protected]. You are expected to administer your course (quizzes, exams, required and supplemental readings, paper submissions, discussion forums, PowerPoint lecture files, etc.) through Bb and issue all grades and feedback to students through the Bb grade book. But note at the outset that the grades you place in Blackboard will not automatically become the final grades in the course. Grades must be submitted at the end of the course through GWeb. To facilitate adding class readings to the Blackboard classroom please visit the library webpage on course reserves. If you have found an article in a library database and need assistance locating the permanent link please contact CPS librarian Joscelyn Leventhal at 202-994-5680 or [email protected]. Before your first class meeting you must obtain a final class roster from the GWeb System by going to MyGW. Select GWeb info system, login and then select "Faculty" menu. Please record student attendance and inform the College of Professional Studies Student Services Office of any discrepancies. You may do this by sending an email to [email protected], telephoning (202) 496-6292 or sending a fax to (202) 973-1551. Any subsequent changes in class attendance should be reported to this office. Course evaluations are conducted at the completion of each course; students are automatically notified when evaluations are available and instructors are asked to encourage students to complete these online evaluations (conducted through GW’s Office of Planning and Assessment). For questions about these evaluations, contact Jack Prostko at (202) 994-3592 or [email protected]. Instructors can retrieve the results of the survey once the course has finished and grades are submitted. Determining your academic standards for grading is a complex issue, so before teaching you should develop a grading policy (that is then stated in your syllabus) and a set of rubrics to use in grading assignments. It is wise to speak with your Program Director about standards so that your policies and grading practices are consistent with the program’s. For more information about these issues see our faculty resources or contact Jack Prostko at (202) 994-3592 or [email protected]. You must enter your grades directly into the GWeb system by going to MyGW. Detailed instructions for submitting grades can be found at the Office of the Registrar. This site contains a PDF file with detailed instructions on submitting your grades online. University policy requires that grades be submitted within 72 hours of the end of the class. If you have any difficulties in entering your grades you should call the IT Support Center at (202) 994-5530 or [email protected]. Students will be able to look up their own grades in the GWeb system. If you decide to submit a grade of 'Incomplete', please request a copy of the Incomplete Contract Form, by calling (202) 994-5530 filling it out with both the student’s and your signatures, and fax it to Student Services at (202) 973-1551. Students perform much better in class and learn much more effectively if they are given feedback soon after submitting assignments. Please return student papers and projects, with your written comments, as soon as possible after their submission to you. If it is necessary to cancel a session of your class it is your responsibility to contact your students and inform them of the situation. You may do this through the Blackboard System. In addition, you must notify the Student Services Office ([email protected], telephone (202) 496-6292 or fax (202) 973-1551). In the case of weather related class cancellations you should check campus advisories or by telephoning the University Information number, (202) 994-5050. If your assigned classroom is not equipped with the technology you require, please use Academic Technologies’ reservation form. This website is very useful for checking on available classroom resources and requesting help for all your computing needs. You have access to over 9 million items that GW and our Consortium Loan Service (called WRLC) partners own. Search the library's online catalogue. If you are on the Foggy Bottom campus you can browse the shelves and pick up a book. If not, then we will have FedEx deliver the book to you. Details about the library's off-campus services, including how to have a book delivered to you, are in the off campus services guide. You also have access to anything that we can request from libraries worldwide through InterLibrary Loan. There are about 300 subscription databases that you can use from anywhere with an internet connection. Direct any questions regarding library resources and services to Joscelyn Leventhal at (202) 994-5680 or [email protected].